The goal, according to a recent article in Land Line, is to create a database of 40,000 physicians who are certified to perform the medical evaluations required by the Department of Transportation for all commercial truck and bus drivers. Currently, the National Registry has 10,474 members, but not all of them have passed the required certification test, according to the FMCSA. One hurdle in enrolling the required number of medical providers to handle the 4 million certified drivers in the U.S. is the fact that, to date, only one organization has been available to provide the required training to the physicians attempting to join the database. The agency believes several more testing facilities should be available soon. The FMCSA is also working on outreach in rural areas to ensure that certified medical providers are available to drivers in all areas of the U.S. 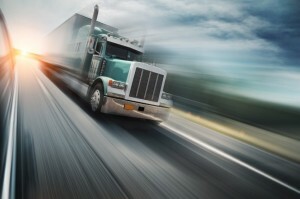 Many experienced San Diego truck accident attorneys have handled cases in which a medical problem suffered by a truck driver resulted in a crash. Although most drivers are committed to safety on the road, many don’t make the crucial connection between their own health and their safety behind the wheel – until it is too late. If you’ve been injured in a California truck crash, don’t hesitate to speak to an attorney at the Jurewitz Law Group about your legal rights and options.